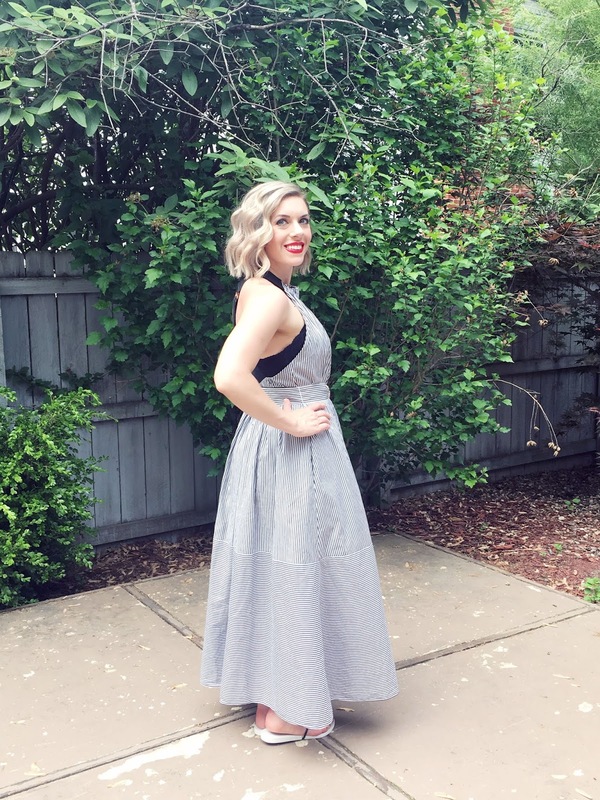 I love a good maxi dress in the summer, and this one is one of the best! It also happens to be one of the most comfortable dresses I've ever worn. Since the back is open (and wearing a bra is a MUST for me), I wore a bralette under the dress. I also wore minimalist sandals to keep with the minimalist vibe the dress was giving. A pop of color in the form on my straw clutch and a bold lip add some dimension to an otherwise simple look. How do you like to keep things simple, yet stylish, in the summer? You guys. HOW magical was the royal wedding? That dress! The emotions! I loved every.single.minute! 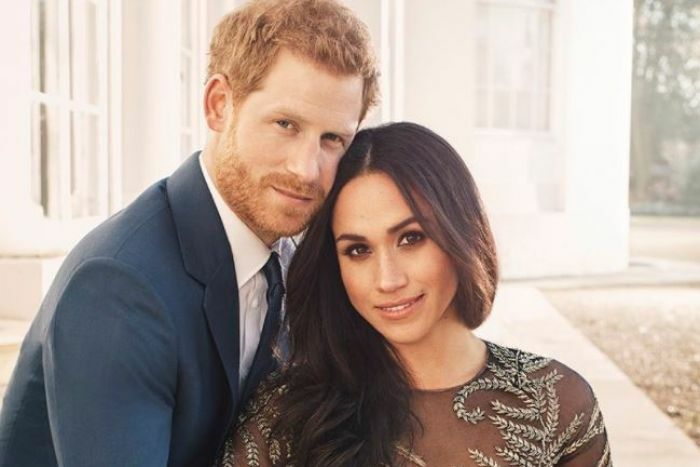 I've been looking forward to the nuptials of Harry and Meghan since they announced their engagement and immediately started to plan a high tea for my mom and I to enjoy while we watched the wedding in the wee hours of the morning. I love all things British, so getting up at 4am to watch the wedding was a no-brainer for me! We donned our fascinators (our pups did too) and woke up at 4 am to tune in to watch the guests arrive. We were still in our pajamas, which made it even more cozy and fun! To keep things simple (since it was super early in the morning), I stuck to things that took little prep. We had biscuits, muffins, mini quiches, and mini cupcakes, with an assortment of coffee and tea! Did you wake up early to watch the wedding? Was it everything you hoped it would be? 'Tis the season for hitting the beach and lounging by the pool! Luckily, there are tons of cute swimwear options out there now to add to your summer wardrobe. See our favorites rounded up below! 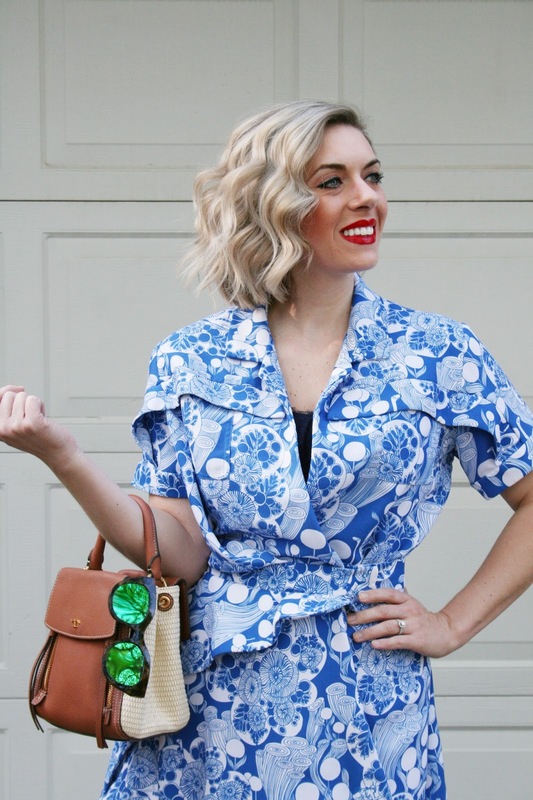 I'm loving the resurgence in one pieces, which we are proving to be just as diverse as two-piece suits! I will also always associate blue and white stripes with summer, so I am thrilled to see so many suits in this pattern! I'm all about loud patterns and unusual cuts when it comes to my swimwear. I honestly don't get out to the pool much, so when I do, I better make it count! What about you? Do you go for a sophisticated classic look, or are you all about making a statement in swimwear? Well, the midwest just went straight from winter to summer in a week. Like, 90 degree, humid heat you only find here kind of summer. Because I was wearing sweaters two weeks ago, I hadn't yet gotten out my super summery clothes from storage until this past weekend. The really fun thing about storing your off-season clothes is that if feels like you get a whole new wardrobe when you get them out. 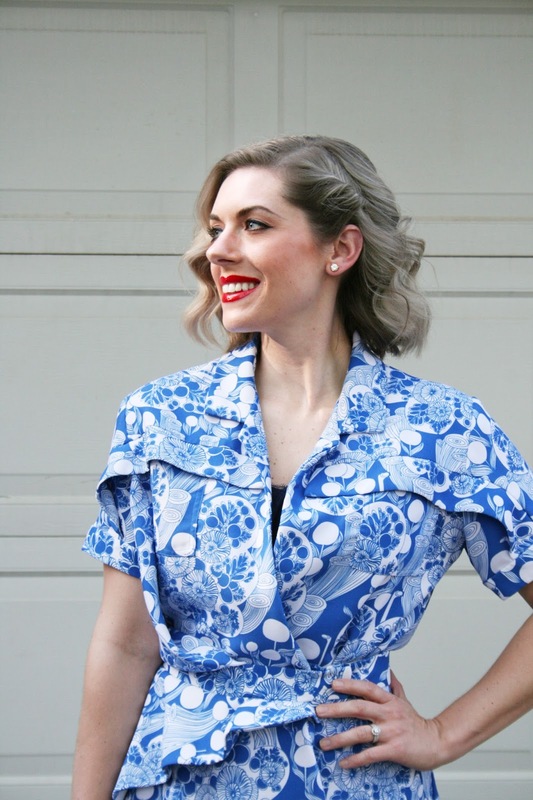 This dress is one of those oldies but goodies I got a few years back. Full disclosure: Jodi ended up getting it too! I realized neither of us had documented it yet, and after getting compliments after wearing it last week, I thought it deserved its own little post here. Embroidery is still a hot trend this season, and I love the deep blue embroidered on white. The silhouette of the dress is reminiscent of a '60s shift dress, so I paired it with some very tall flatform sandals to elongate my legs. I'll be honest: I had a bit of a dry spell with sunglasses last year. 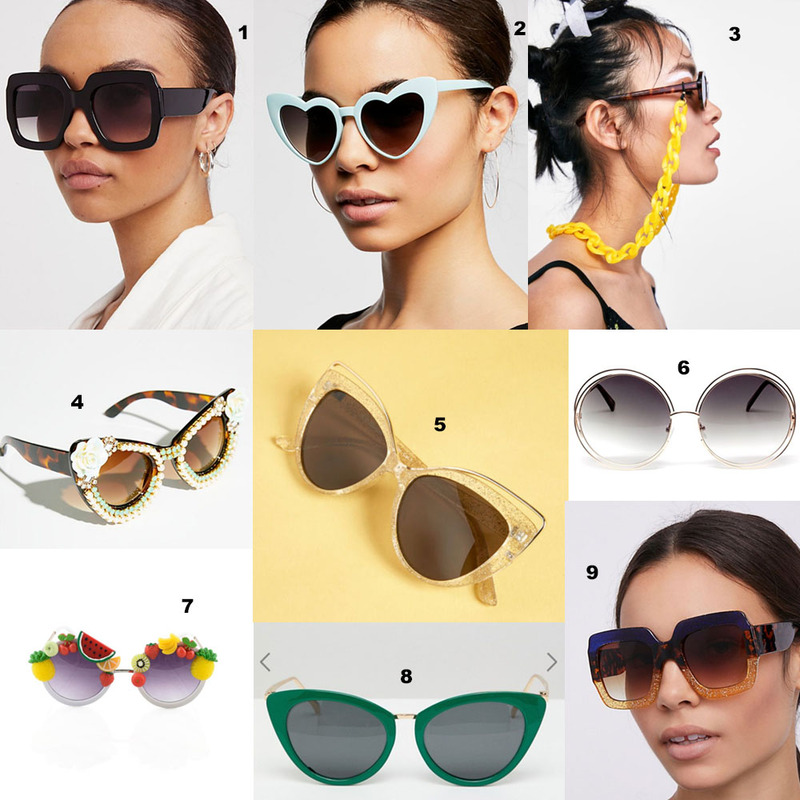 I just wasn't digging the shapes and styles I was seeing for sale, but oh lordy, this summer of sunnies is coming in hot! 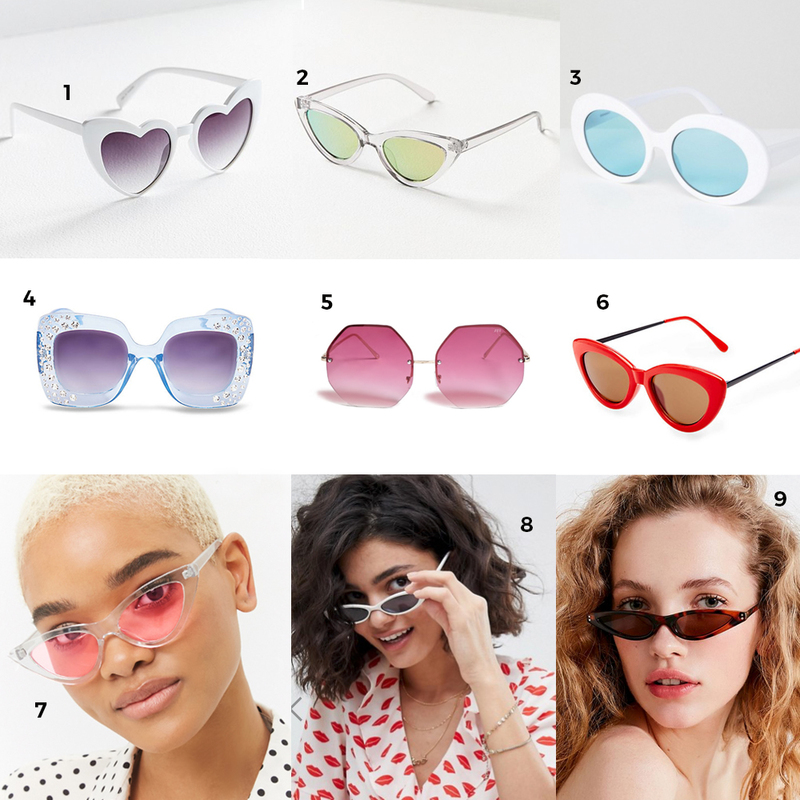 I've definitely gotten enough pairs to last me the summer, but, from ovals to cateye and perfectly round, I'm digging everything eyewear this summer. These clear cateyes maaaay just be my faves though. What about you, do you pack away off-season clothes so you feel like you get a shopping spree when the season changes? 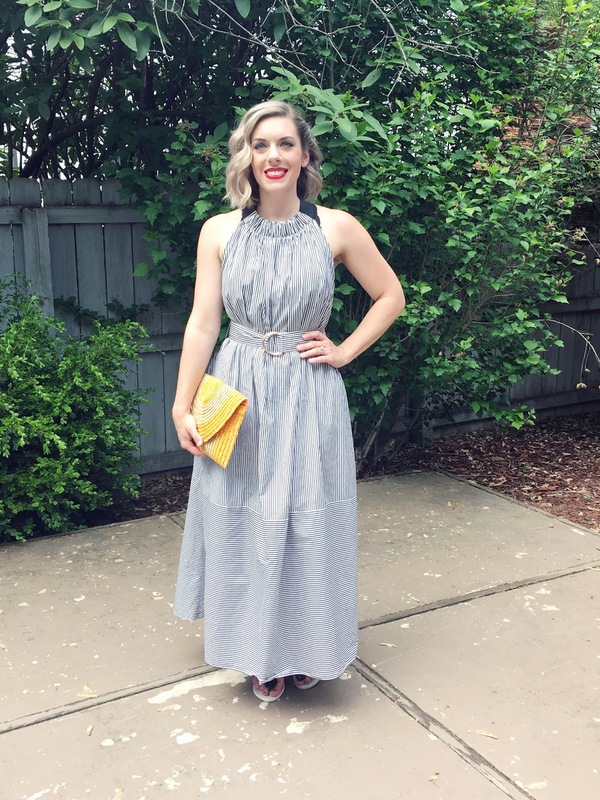 I recently tried out the Unlimited subscription through Rent the Runway. I have to say, I am so excited to have so many choices of dresses, tops, blazers, handbags, jewelry, and more than I can barely contain myself! 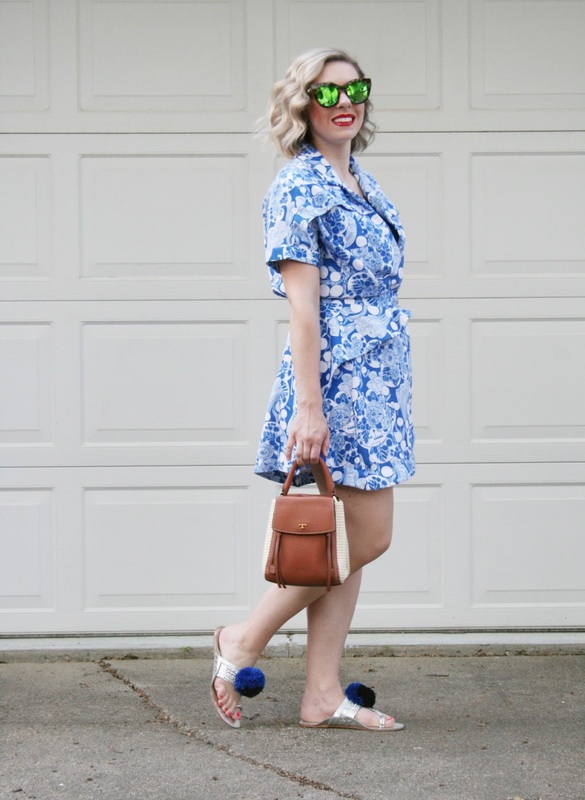 In my first shipment, I received this blue and white dress as well as this cute little tote (among other things). 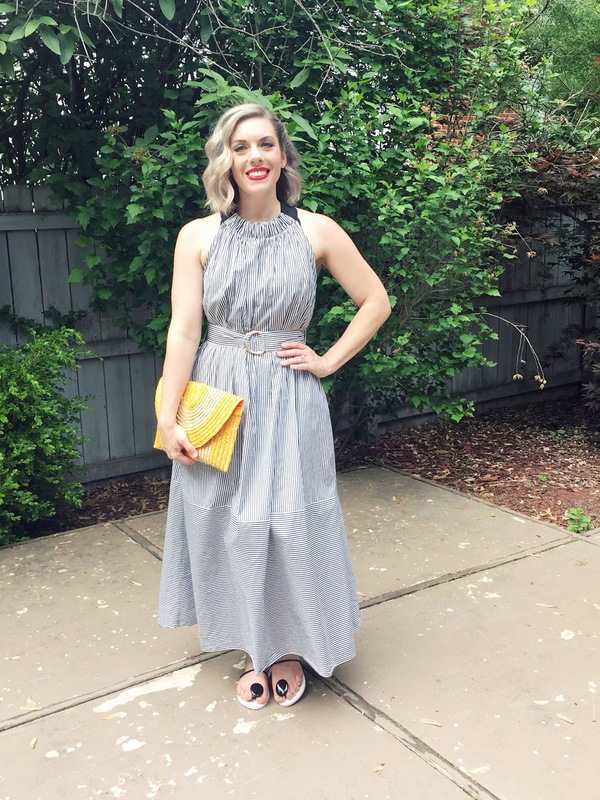 I loved everything I received, however this dress paired with silver sandals and a straw tote is the perfect summery getup! The best part is, I've already returned it all and have another shipment coming my way of more fashion goodness! As you know, I love clothes, however, my husband and my closet are getting a little tired of the space my wardrobe is taking up. 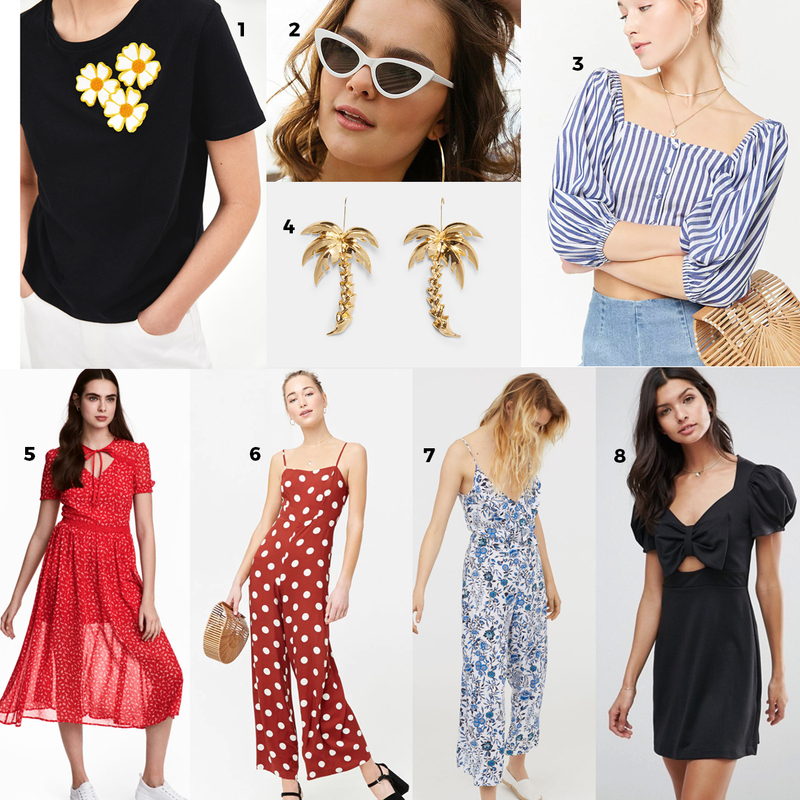 I figured Rent the Runway Unlimited is the perfect way to try out new fashions without making a dent in my bank account, plus I feel better about the impact on the environment. It's also a more ethical and sustainable choice too, which eases my guilt. 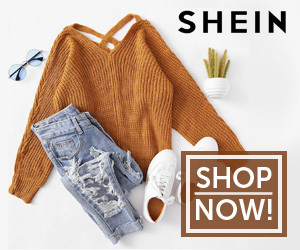 As much as I love fashion and new clothing and accessories, I also want to make responsible choices to reduce the negative impact my shopping habits have on the world. 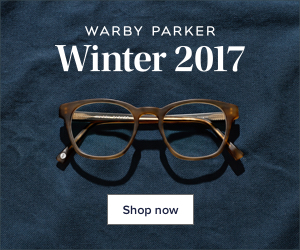 If you want to try Rent the Runway Unlimited, you can get a discount for your first month by using the code "newcloset." I think you'll like how it makes you look and feel! Now, if you'll excuse me, I need to go pick out what I'm going to get next! It's finally is starting to feel like spring (or maybe we just skipped straight to summer?!) in the Midwest and we cannot wait to buy all the spring trends! From summery prints to hot accessories, we're telling retailers to go ahead and take our money already! 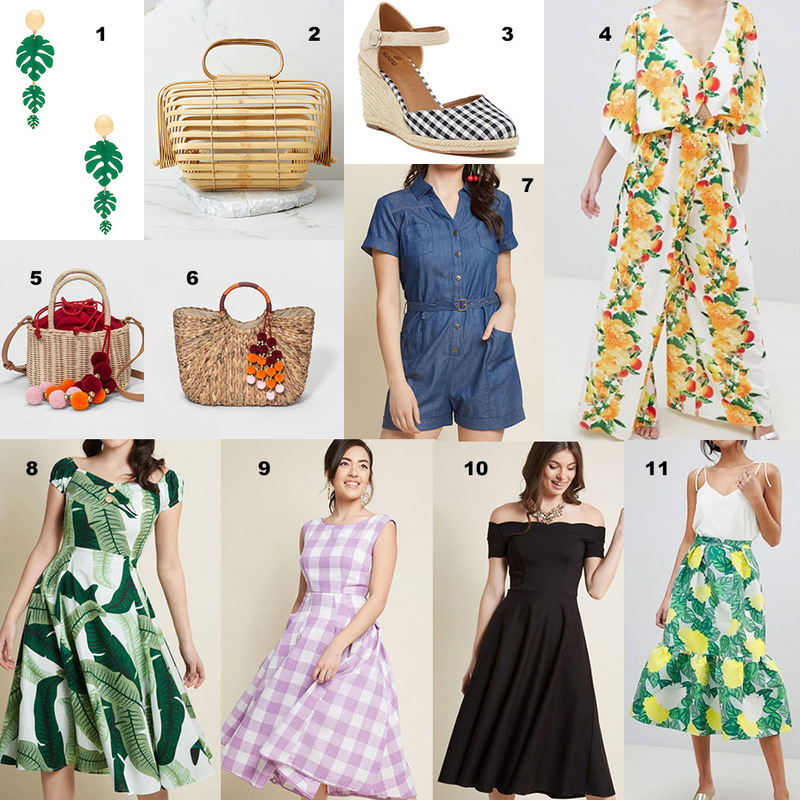 I'm SUPER into tropical and citrus prints at the moment, plus all the straw accessories! It all screams summer to me and I.CANNOT.WAIT! Just call me Miss Chiquita. As I'm planning for vacations, I'm all about looking for basic pieces I can easily throw in a suitcase and be comfortable flying or taking a train in. And as always, a retro influence is still strong in my picks! I may or may not have already hit the "order" button on a few of these beauties already! 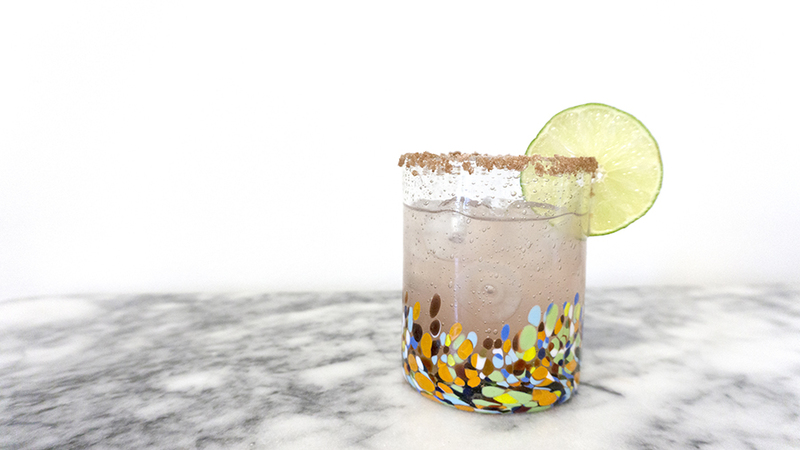 With Cinco de Mayo tomorrow, you may have margaritas on the mind. I love margs, but sometimes I want something to mix things up with my Mexican food. I'm here to tell you that "Yes! There are other things to make with tequila!" 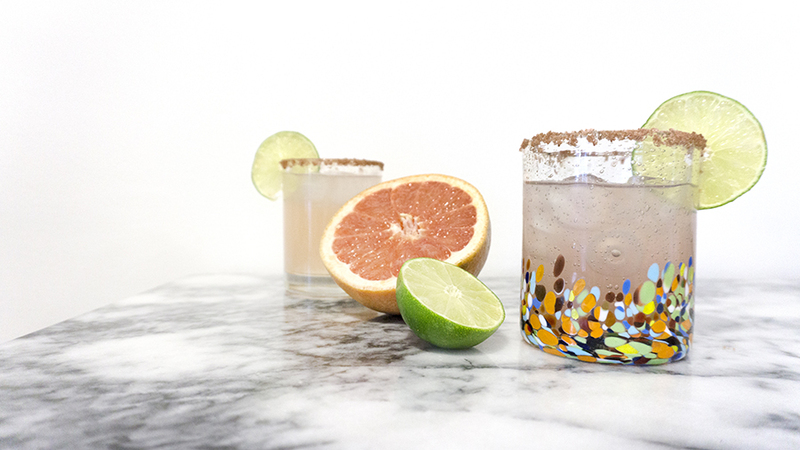 For one, and for most importantly: the Paloma. 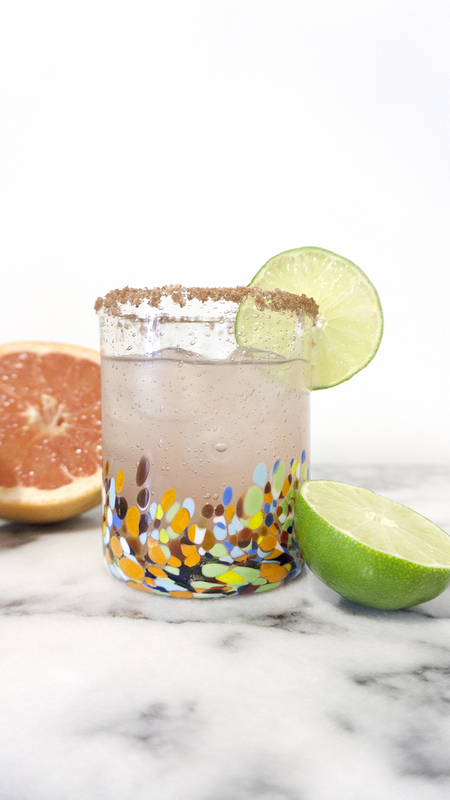 This grapefruit cousin to the margarita may be just what you need to celebrate the holiday this weekend. 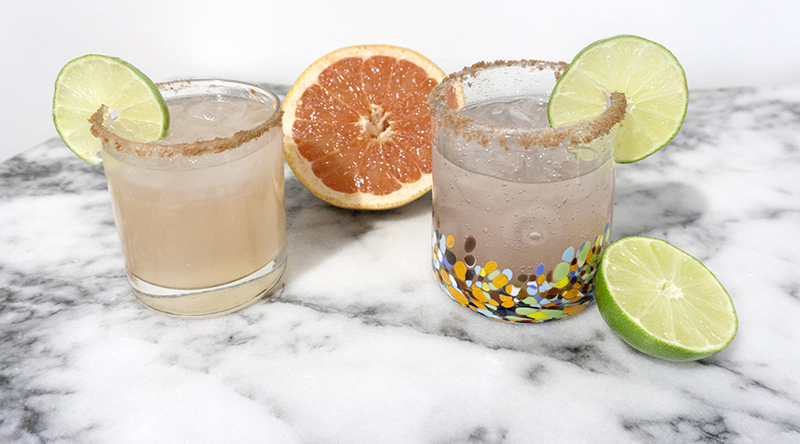 The cocktail can simply be made with tequila and grapefruit soda, but it tastes much fresher when made with grapefruit juice and club soda. Typically sugar is added, but I opted for agave nectar, a sweetener that comes from the same plant as what's used to make tequila. Keepin' it in the family. Place salt in a shallow dish. Run a lime around the edge of the glass and dip in salt. 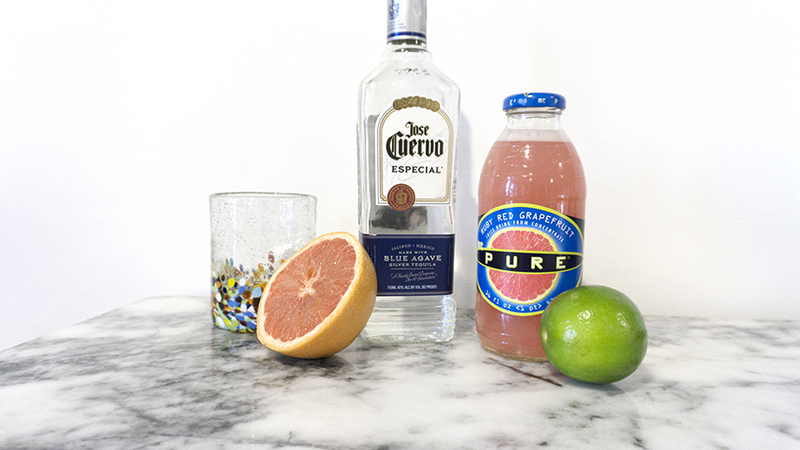 Mix grapefruit juice, tequila, lime juice and agave in glass until agave is dissolved. Add ice and top with club soda. Garnish with a lime. That's it! Let us know if you decide to try out a Paloma tomorrow instead of a marg! We don't think you'll be disappointed! We've been at this whole blogging thing for a little over three years now, and we've learned so much and have grown so much, both as a blog and as individuals (and as friends!). As we're moving into our fourth year of Mod Circus, we're excited to announce a few upcoming changes that you will be seeing! First, we will each be branching out into our own separate Instagram accounts, followed closely by Facebook and new blogs for each of us! 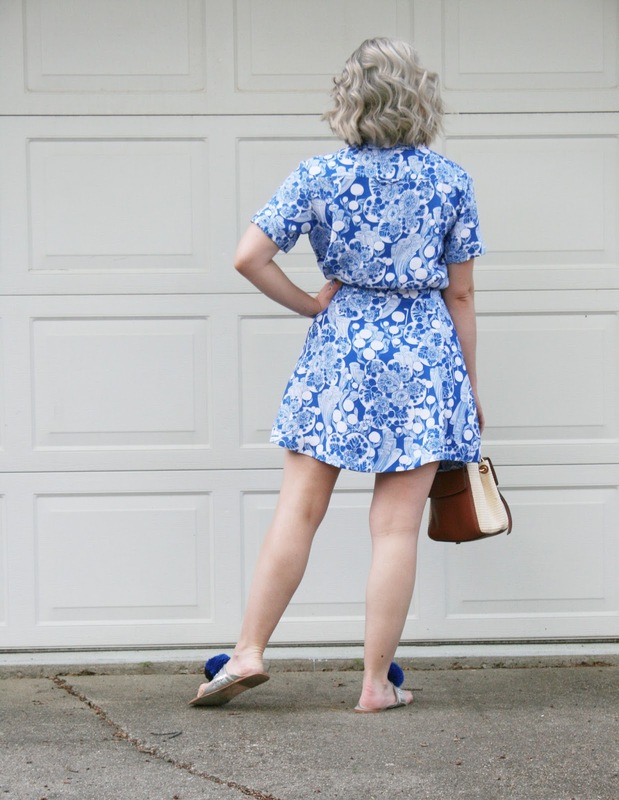 Don't worry though, we're still going to be coming right back here to do posts together, such as Wear it Two Ways, Five Friday Favs, seasonal trend reports, and more! 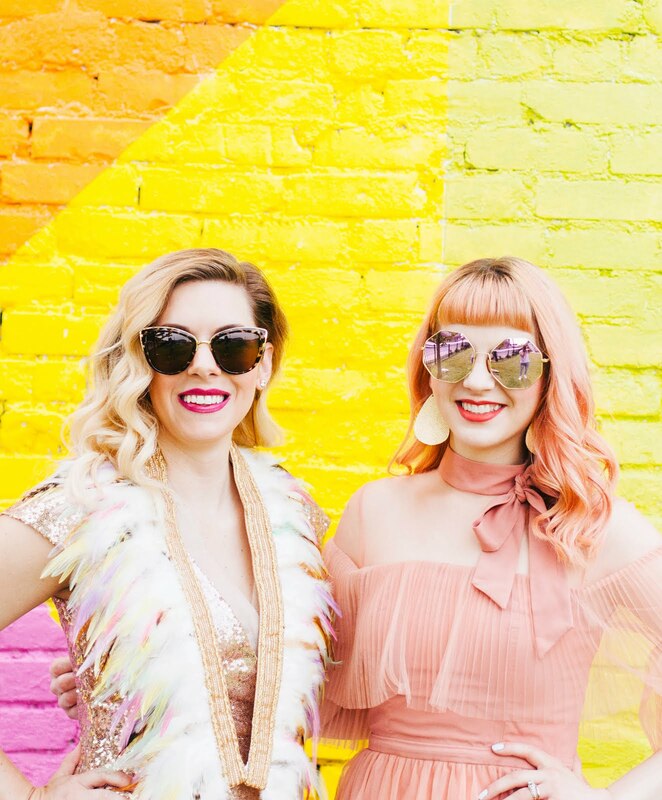 Second, we're also inviting guest bloggers to come in to the Mod Circus family to share their stylish musings, so you will start seeing a few new friendly faces around these parts as well. 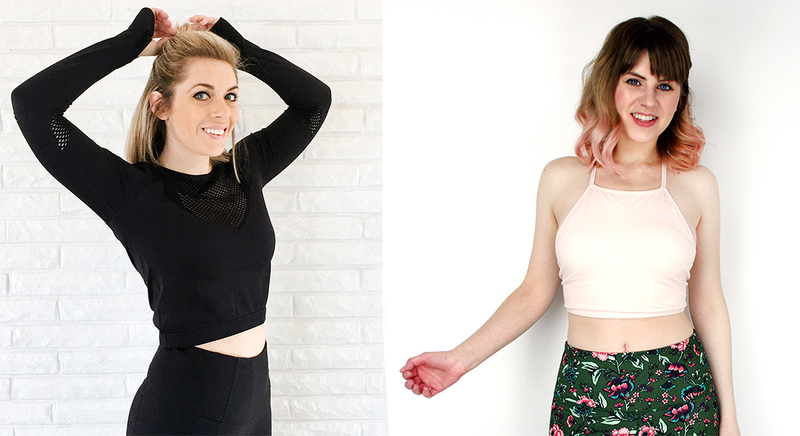 Moving forward, you can follow Molly's stylish journey over on Call of the Styled (@callofthestyled), and you can catch Jodi's fashion over on her Instagram account (@jodiogilvy). Stay tuned for blogs from each of us and more social media accounts as well! We hope that you will join us on this new adventure! We're very excited, a little scared, and super nostalgic, but we know that this will be a positive experience for us and for you as well! We can't thank you enough for following along with us and we hope that you will continue to be by our sides as we move forward into these new parts of our lives.